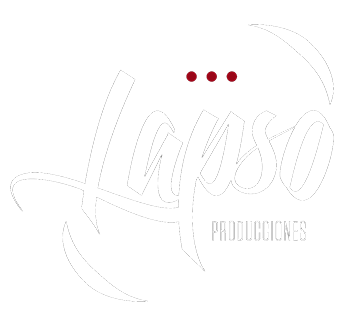 Since the beginning Lapso Pruductions has been closely linked to music, beyond our very own musical compositions. We mix our Andalusian roots with the sounds of Balkan tradition, we reinvent instruments, explore new sounds and new flamenco blendings… All these ingredients make a unique and singular formula. Ever since we started our path back in 2004 we have tirelessly worked in music and theatre conjunction but without forgetting our exclusively musical side represented by compositions, concerts, collaborations with other bands and musicians and studio recordings. Although El Cuarteto Maravilla may be our most iconic show we have also launched a bunch of bands and shows such as the hilarious Patrulla Bicisónica (funk, soul…) or La Maravilla Gypsy Band (Balkan and gypsy music); besides we are currently working on a new project that involves swing music. As musicians and performers we have taken part in other companies’ productions. We were the ones to put live music at the Great Circada Gala in 2008, at Premios Escenarios de Sevilla gala in 2011 or to the show “A midsummer Night’s Dream” by La Tarasca Company (2007). We are proud to have played live with plenty of wonderful bands, such as NBOMe Quartet, ASSEJAZZ Big Band, Soul Sexion or El Combo Giro. Also we have done many studio recordings, as the collaboration in two of the brands in Ballena Gurumbé’s new album in 2015: “El taller de Ibrahim” and “Funky Pandeiro”; along with Lolo y Cheché we recorded “Quédate con Mamá” for their album “La melodía del Corazón”; with Daniel Mata en el Callejón del Gato the brand “El Cuento” for his album “Sálvese quien quiera”; we did our bit for the recording of “La gatita presumida” and “Prefiero” with Antílopez; as you can see we treasure a long list of artists we are so glad to have worked with. But this isn’t all because in addition to the above mentioned we are also composers. We made the music for Varuma Teatro’s new show “Instante” (2015), the composition, production and performing for Varuma´s “NS/NC” (2014) and the composition and recording (with La Maravilla Gypsy Band) of the soundtrack for the film “El mundo es nuestro” (2012), along with artists like La Mula, Charlie Cepeda and Quentin Gas.